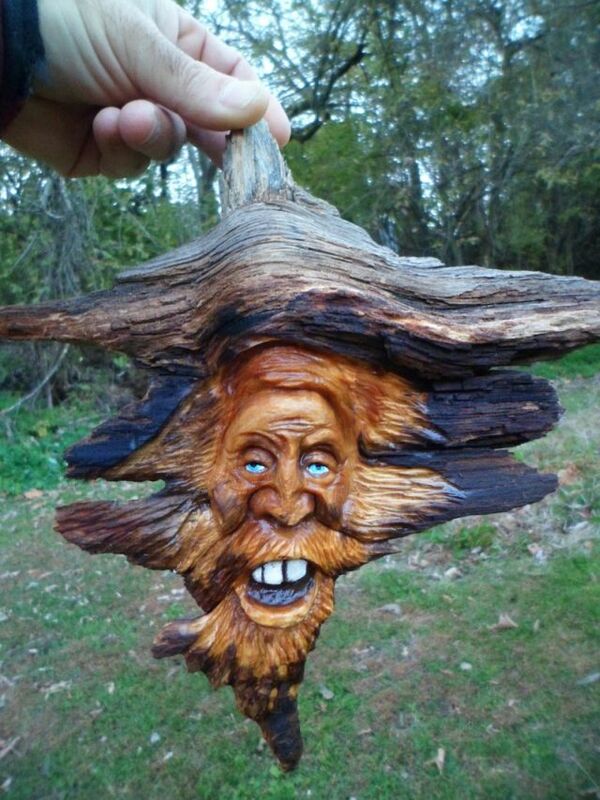 Hand Carved Wood Spirit Carved out of a big pine knot. Hangs on the wall from a hole drilled in the back. He is around 9 and 3/4 inches wide by around 12 and 3/4 inches long.